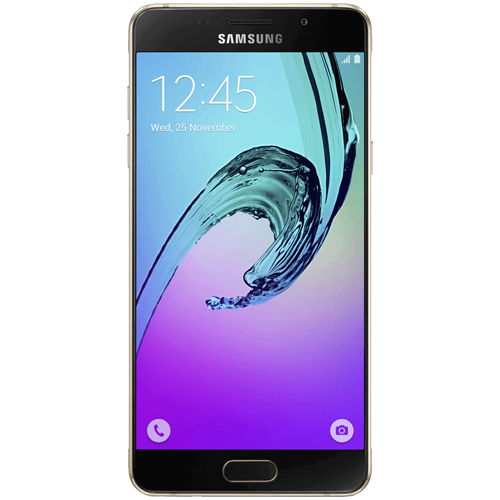 The Samsung Galaxy A3 (2016) was first introduced on December 2nd, 2015 and was an entry model in Samsung’s middle of the range A series. It was a well finished phone with a 13 Megapixel camera, 720p screen, 4.7-inch Super AMOLED screen, 2300 mAh battery, 1.5 GHz Quad Core processor, 1.5GB RAM and 16GB storage onboard. In Japan it was exclusively sold at the Galaxy Feel with 3GB RAM and 32GB internal storage. If you’ve dropped your Galaxy A3 (2016) and cracked the screen then we can replace it for you in under an hour. Simply book a repair and we will come straight out. You can pick a date and even opt for a same day repair.